Black Friday and Cyber Monday are here again. Seems like everyone is trying to make a splash with 'special offers" for a very limited time on very limited quantity items. These are usually some boring deals on some products you've never heard of and wouldn't really want anyway. 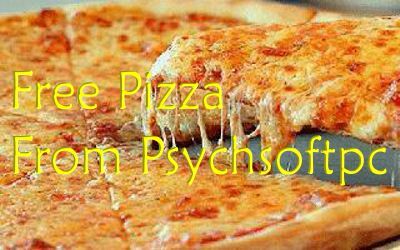 Well we @ Psychsoftpc are also doing the Black Friday & Cybermonday thing but we're doing it our way. We like to do things differently. Let's face it, what most folks are doing out there is boring and mundane. As gamers, we know you have come to expect the unexpected. So, instead of some boring coupon, we decided to give you free Pizza with purchase if you enter the secret code at checkout. Now about that Secret Code! We couldn't just do something simple like the word pizza, where's the fun in that. Gamers expect to work for the prize, to figure out the puzzle like our favorite heroine in Tomb Raider. So we thought What Would Lara Croft Do? Aha! that's perfect! 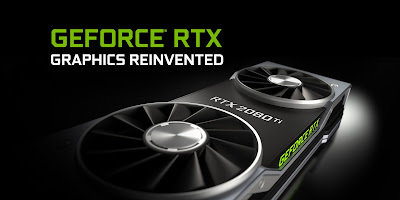 So our secret code for free pizza with purchase of one of our awesome, incredibly fast Virtual Reality Ready gaming computers, you know, the ones with those super fast Intel Core X Series CPUs and NVidia GeForce RTX 20XX GPUs, is WWLCD. And since we don't do anything half way this deal lasts the entire holiday season, not just one day or one weekend. So there you have it. Have fun and keep gaming. Psychsoftpc High Performance Professional Workstations are now available with NVidia Quadro RTX 5000 and RTX 6000 Professioanl Graphics Cards. The latest, fastest professional GPUs from NVidia and PNY are the first to offer real time ray tracing, deep learning and advanced shading. 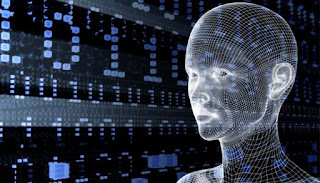 Psychsoftpc strives to be the first to bring the latest in technology to creators, engineers and data scientists to enable workflows previously thought impossible. Psychsoftpc is currently including the NVIDIA Quadro RTX 5000 Professional GPU in their Psyborg Extreme Master Professional Workstations to enable more immersive workflows, inferencing, training and hyperrealistic visualization by leveraging the power of physically based rendering and real-time intelligence using Tensor Cores with the option to upgrade to the Quadro RTX 6000 for those demanding customers. Combined with the latest Intel Multicore Processors, Professional Workstations from Psychsoftpc offer the professional extreme performance, stability and quality for all those demanding tasks. Psychsoftpc is committed to quality and manufactures all of their award winning high performance computers and workstations in the USA. 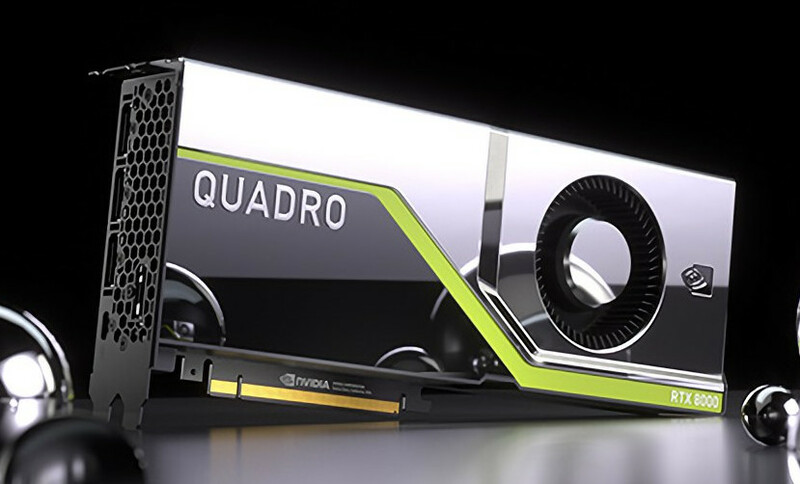 Shatter the boundaries of what’s possible with NVIDIA Quadro RTX 5000. Powered by the NVIDIA Turing architecture and the NVIDIA RTX platform, it fuses ray tracing, deep learning, and advanced shading to supercharge next-generation workflows. Creative and technical professionals can make more informed decisions faster and tackle demanding design and visualization workloads with ease. Equipped with 16GB of ultra-fast GDDR6 memory to hold large datasets – complex designs for products, architectural walkthroughs, media assets and more. Link two GPUs with a high-speed interconnect to scale memory capacity to 32GB and drive higher performance with up to 50 GB/s of data transfer. The greatest leap since the invention of the NVIDIA CUDA GPU in 2006, the NVIDIA Turing architecture fuses real-time ray tracing, AI, simulation, and rasterization to fundamentally change computer graphics. Turing features new RT Cores to accelerate ray tracing and new Tensor Cores for AI inference. Together, for the first time, they make real-time ray tracing possible, opening up amazing creative possibilities that until recently were assumed to be years away. The Turing architecture is armed with dedicated ray-tracing processors called RT Cores that accelerate the computation of how light and sound travel in 3D environments by up to 10 Giga Rays per second. Turing accelerates real-time ray tracing by 25X over the previous-generation NVIDIA Pascal and can render final frames for film effects more than 30X faster than CPUs. The Turing architecture dramatically improves raster performance over the previous-generation Pascal with an enhanced graphics pipeline and new programmable shading technologies. These technologies include variable-rate shading, texture-space shading, and multi-view rendering, which enable more fluid interactivity with large models and scenes and improved virtual reality experiences. Psychsoftpc of Quincy, MA is an artisanal computer company, so they hand craft all of their machines and subscribe to a Just In Time philosophy. They are constantly evolving their machines with the very latest technology and are often the first to put out machines that take advantage of the latest tech because they don't stock parts or pre-build machines which have to moved before they can use the most advanced technology in their machines. So while the other guys can take months to put out machines with the latest, fastest tech, the folks @ Psychsoftpc can take days. Thomas Friedman in his book Thank You For Being Late says we must constantly adapt to rapid shifts in technology because of accelerating technological change, specifically the impact of Moore's Law and market forces which are linking the world more powerfully than ever before. Unlike the other guys out there, Psychsoftpc embraces this. They are constantly adapting and improving their machines. They don't release new model names, just improve the machines they build with the latest tech as it comes out. 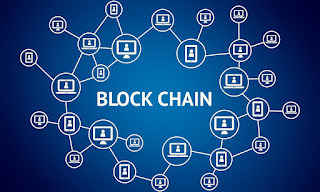 Blockchain is a technological advance with far reaching implications that will transform financial services, health care, logistics, retail, manufacturing and many other industries. A blockchain is a distributed database, so the devices storing the database are not all connected to one local machine but spread out over multiple machines with each machine maintaining its own copy. Blockchain software maintains a growing list of ordered records or blocks, hence the name. Each block has a timestamp and a link to a previous block. Cryptography ensures that users can only edit the parts of the blockchain that they are allowed to by possessing the private keys necessary to write to the file. It also ensures that every copy of the distributed blockchain is up to date. The folks at Psychsoftpc believe that blockchain is good for more than cryptocurrency and that the focus on cryptocurrency takes away from the benefits that blockchain can provide. Psychsoftpc's blockchain project will provide a means for researchers throughout the globe to work on finding cures for diseases. So it is a blockchain project that follows Thoreau "Be not simply good, be good for something." This will fundamentally change the way people perform medical research and lead to cures for not only major diseases like cancer and heart disease but facilitate finding cures for orphan diseases that currently do not receive enough attention. This project is being crowdfunded on Indiegogo. Funders of $25 will receive an acknowledgement certificate suitable for framing. Funders of $50 will receive the certificate and periodic progress reports of conducted research. Funders of $1500 will receive time on our Tesla Cluster Supercomputer. With all the hype over Cryptocurrency and Bitcoin / Ethereum Mining high end gaming video cards are becoming hard to find. If you are a gamer or involved in high performance computing at all you are well aware of the problem. If your work or job depends on high performance computing, you may be feeling the pressure now. After all your work, livelihood, reputation and performance depends on your equipment and if you can't get access then where will you be? 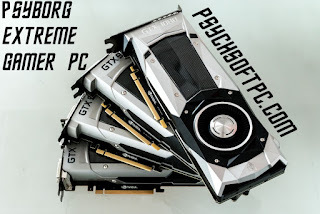 Despite this, we at Psychsoftpc are still hand crafting our high end Psyborg Gaming Computers So if you are considering getting a new Virtual Reality Ready High Performance Computer for gaming, photo editing, video creation, 3D modeling or anything else rest assured we can provide it. The quality and availability of our machines has not suffered because of hard to find video cards. If you are considering one of our Psyborg Professional Workstations or Psychlone Tesla Personal Supercomputers you should know that there are no shortages on these particular cards whatsoever. They are just too expensive and too specialized to be of interest to the get rich quick crypto miners. So if you are a professional engineer, architect or involved in research, Cad, medical imaging or 3D modeling or any other profession and you depend on solid, fast, dependable, high quality, high performance computing power, Psychsoftpc is still the one to provide it for you. We will build a machine to your specifications so you can depend on it for your work without worry. 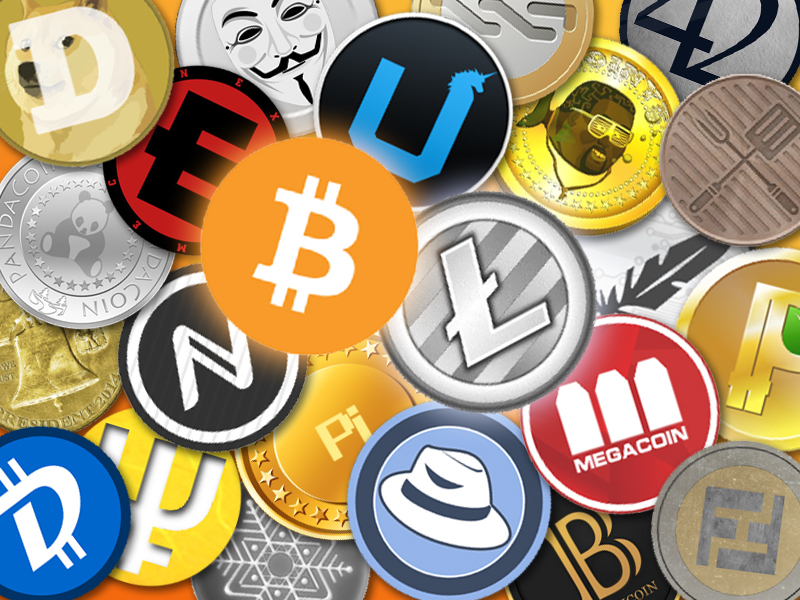 If you haven't been living under a rock lately, you have heard all about Cryptocurrency, Bitcoin, Ethereum, Monero, ZCash, Litecoin, Dash, Ripple and of course Blockchain. It is the hot new thing and it seems everyone is getting into it with a passion. Blockchain has the potential to dramatically change document sharing, secure reord keeping and financial transactions. The technology behind Bitcoin and other Cryptocurrencies allows for a secure database made up of encrypted blocks accessible by members who hold keys. It prevents unauthorized changes to data by validating everything that goes in the blockchain. Bitcoin, Ethereum and other Cryptocurrencies are being traded for investment and also mined which involves solving complex math problems to discover blocks in the chain. Once ta block is found the discoverer is rewarded with a certain amount oif the cryptocurrency. For example, Bitcoin rewards the block finder with 25 Bitcoins currently valued at just over $8000 each. In order to mine cryptocurrency or develop and maintain Blockchain applications, a powerrful computer or cluster of such computers is required. Currently these machines utilize banks of High Performance Graphics Cards like those from NVidia to perform the hash calculations necessary to mine cryptocurrency and maintain Blockchain applications. To facilitate this process, Psychsoftpc, the High Performance Hand Crafted Computer manufacturer has developed the ultimate Blockchain and Cryptocurrency Mining Computer. Unlike all the other high performance computer guys out there, Psychsoftpc, the High Performance Hand Crafted Computer manufacturer has developed the ultimate Blockchain and Cryptocurrency Mining Computer. They are the first and only Gaming PC manufacturer to offer a cryptocurrency mining rig. So the choice for folks wanting to get into cryptocurrency mining is either buy it from them or try to build it themselves. And it's not easy. Trust them, they're professionals. Built with the same attention to detail and passion for performance that is present in the Psychlone Tesla Personal Supercomputers, the Psychlone Cryptocurrency Mining and Blockchain Computer is all that folks need to get started in Blockchain and Cryptocurrency mining of Bitcoin, Ethereum, Monero, ZCash, Litecoin, Dash & Ripple today. No need to build it themselves or figure out which parts to use, Psychsoftpc has done all the work. In keeping with their philosophy of providing service as well as performance, the system is totally turn key, folks just have to unbox, plug in and go. There is lots of information out there on how folks can build their own boxes, much of which is confusing. Psychsoftpc has done all the research and takes the confusion out of the game by providing a complete hand crafted system specifically tuned for Blockchain and crytptocurrency mining. Unlike ASICS which only do one thing, mine Bitcoin, their machines can mine any cryptocurrency and also be used to develop the customer's own blockchain applications. So they can create their own Blockchain applications with one of the great Cryptocurrency Mining and Blockchain Computers with GPU Computing from Psychsoftpc. 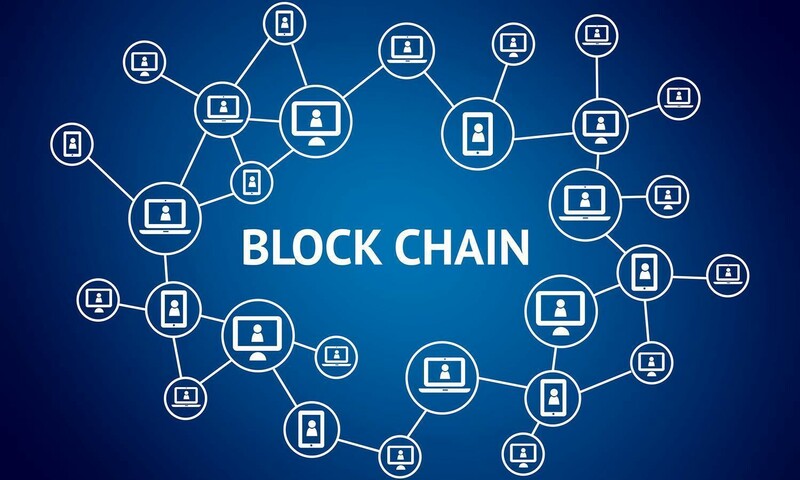 Blockchain and Cryptocurrency are the hot new technologies right now and Blockchain will only get more traction as more compelling new applications for it are released. People should ask themselves "Why be a follower when I can be a technology leader?" People can start experimenting with Blockchain and get into cryptocurrency mining of Bitcoin, Ethereum, Monero, ZCash, Litecoin, Dash & Ripple now. Create their own Blockchain applications with one of the great Cryptocurrency Mining and Blockchain Computers from Psychsoftpc. To create Blockchain applications or to mine cryptocurrency, folks need a powerful GPU based computer ssytem to solve hashes and find blocks.The Psychlone Cryptocurrency Mining and Blockchain Computer is such a device. And it can be made to function as part of a cluster, providing even more power to the task. Psychsoftpc built their reputation on building the fastest Supercomputers and Professional Workstations around, so they didn't wimp out on their Blockchain and Cryptocurrency Rig. Interestd customers can grab their Blockchain and Mining Rig here from Psychsoftpc and get going today. Why Psyborg Extreme Professional Workstations from Psychsoftpc? Being the leader in your industry demands the best performance. It’s why we created our Psyborg Extreme Professional workstations. Run powerful applications with stability and speed. Complete mission-critical tasks faster. Utilize configurations never before possible to build a system that inspires. Whatever your professional-strength needs, we create the tools relied upon by industry leaders—from architects, product designers, financial traders, medical/research professionals, to software designers and engineers. Fueling Exploration requires solving the challenges of the energy market and starts with harnessing the power to run complex simulations,data processing, and imaging. Meet today’s market challenges with the power to compute huge streaming data sets — and the reliability to protect your traders and your reputation. Spend less time managing your network and more time providing care by reliably accessing powerful data analysis and high-res medical images. Psychsoftpc delivers the latest generation of Intel® processors, which offer unmatched multicore processing efficiency combined with powerful NVIDIA® Quadro® professional graphics in an innovative and highly-usable design.